I think most Americans can say they remember where they were when they heard about the September 11th planes crashing. I was back in California, nearly graduated from college, late for work, and glued to the television because I couldn’t believe what I was seeing. I turned on the television not long before the first tower fell; by the time the second one fell, I was beyond horrified. 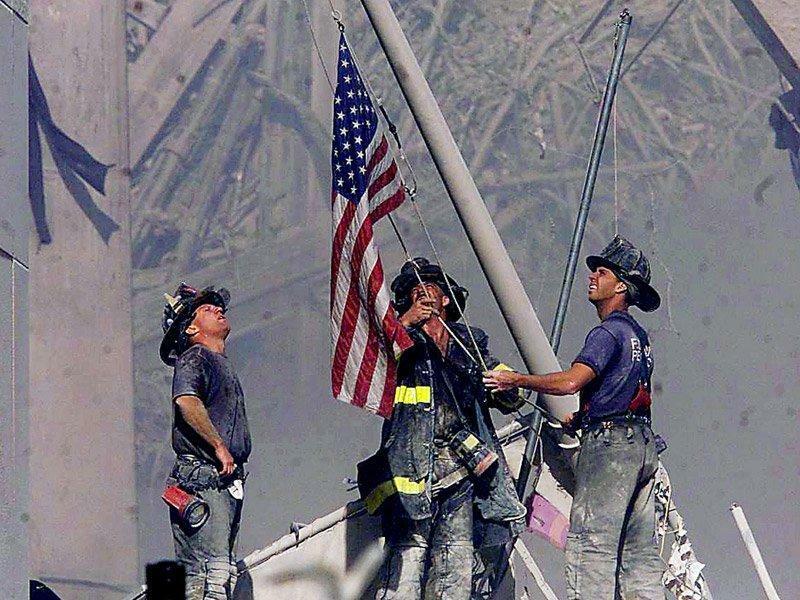 September 11, 2001 was a day that we as an American nation will never forget. For my honeymoon this April, we went to Manhattan and got to see both the memorial as well as what remains of Ground Zero. Folks, you have NO idea the magnitude of the whole thing until you’re standing there in the middle of where those two buildings used to sit. The area of devastation was immense, and I’m shocked at just how much they’ve bounced back in such a relatively short period of time. It’s amazing and awe-inspiring and horrific, all at the same time.